Watch Mirror Mirror cheaply on Amazon, or read more articles on film and television. You too can earn money from writing articles by signing up for InfoBarrel. Mirror Mirror is another retelling of the classic fairytale by the Brothers Grimm. Snow White seems quite popular at the moment, what with the films Mirror Mirror and Snow White and the Hunstman as well as the television series Once Upon A Time also retelling the story. The story is pretty familiar; Snow White (Lily Collins) is first held captive by her evil stepmother the Queen (Julia Roberts, Larry Crowne), after her father the King (Sean Bean, Jupiter Ascending, Oblivion, Silent Hill: Revelation 3D) disappears. Although shunned by the Queen, and as a result of being kept away from everyone, also believed to be less than useful by the rest of the kingdom, Snow White still has friends amongst the castle servants, especially Baker Margaret (Mare Winningham). 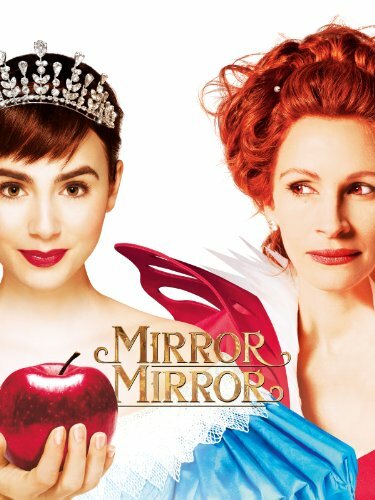 Credit: http://en.wikipedia.org/wiki/File:Mirror_Mirror_FilmPoster.jpegFinally, after her step-daughter's eighteenth birthday the Queen decides to have her sent into the woods and killed by the Beast. There, she falls in with a pack of seven bandits - the seven dwarves - and also comes across Prince Alcott (Armie Hammer, The Man From U.N.C.L.E., The Social Network) and his companion Charles Renbock (Robert Emms). The bandits have been robbing travellers in the forest, including Alcott, and are Napoleon (Jordan Prentice), Half Pint (Mark Povinelli), Grub (Joe Gnoffo), Grimm (Danny Woodburn), Wolf (Sebastian Saraceno), Butcher (Martin Klebba) and Chuckles (Ronald Lee Clark). The Queen in the meantime decides that she is going to marry Prince Alcott; he is handsome, rich and approximately (by her definition) the same age as she. The Prince has meanwhile fallen in love with Snow White and vice versa (of course). Naturally, Snow White and Alcott decide to remove the Queen from power and restore the kingdom. With the help of the dwarves. This version is humorous fantasy so there are some comedic elements to it which are mostly provided by the seven dwarves and the Queen's mostly ineffectual lackey and bootlicker Brighton (Nathan Lane). Between them, the seven dwarves and Nathan Lane give the best performances of the film; Lane certainly gives the funniest. Julia Roberts unfortunately seems a bit typecast as the Queen; namely, someone who is desperately trying to stay attractive - "the fairest of them all" - rather than aging with a bit of grace. Ms Roberts would probably look better if she stopped trying so hard. Although at least she isn't sending younger competitors into the woods to die (hopefully). Mirror Mirror really doesn't add anything new to the Snow White story, especially when compared with the series Once Upon A Time, which really does develop the Snow White storyline in some quite unexpected ways by combining elements from other fairytales, myths and stories. There are a few minor changes - possibly the largest change is the characterisation of the dwarves - from the standard storyline in Mirror Mirror, but really, nothing stands out about the film. Most of the standard elements are there - despite the Queen claiming it to be a different story. It isn't bad but it isn't good either. An okay watch with a predictable ending.